Vugar Gashimov, a fantastic person and top chess player, has passed away tonight. For a long time Vugar Gashimov was treated for epilepsy. Last year he was moved to a treatment center in Germany with state support. Local AZE agencies inform a cause for the fatal end was a recently discovered brain tumor. Gashimov was born on July 24, 1986 in Baku. He is a national chess champion 1995, 1996 and in 1998, and also winner of international tournaments Acropolis, Cappelle La Grande, and Reggio Emilia. His peak rating was 2761 in January 2012. In European Team Championship 2011 Gashimov was happy for the individual gold and team silver medal (interview with Gashimov here). 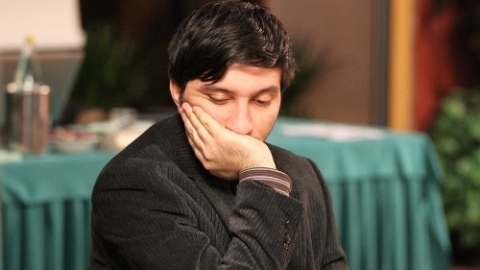 Gashimov hasn’t competed since Tata Steel 2012 due to his illness.